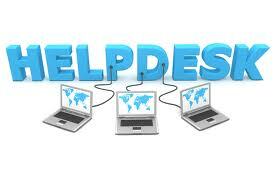 We can resolve NetSuite issues as they arise through our Help Desk service. We use a technology called TeamViewer which allows us to easily resolve issues without having to come out on site. You can see the status of your NetSuite issues by logging into your NetSuite account and going to your BM Online – Help Desk role. NetSuite ERP Help Desk can Grow Your Organization by Providing Capabilities Such as Case Management and Ticketing, Case Escalation, Customer History. NetSuite’s call center capabilities assign, track and escalate cases to serve customers more quickly and efficiently, while NetSuite’s 360-degree customer view gives service and support reps better visibility into customer issues and even empowers them to upsell and cross-sell to drive more business. Keep service reps in the loop by notifying them whenever changes are made to their assigned cases; notify them when someone changes the priority or status of a case.